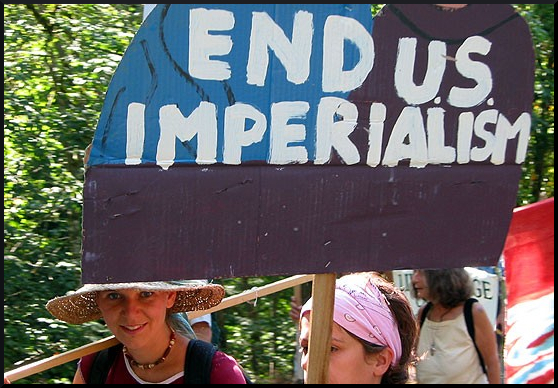 The Foundation For International Justice Is Anti-Imperialism – Stop the Wars at Home and Abroad! Above: An Anti-Imperialist Mural in Caracas, Venezuela. From Telesur. Robert Ford, the first US ambassador to Syria in five years, marched with the regime change protesters. He traveled through Syria inciting rebellion against Assad, according to this interview with a former CIA agent. He Ford had to flee the country out of fear. The US used the same tools of regime change as in Syria and other countries, e.g. 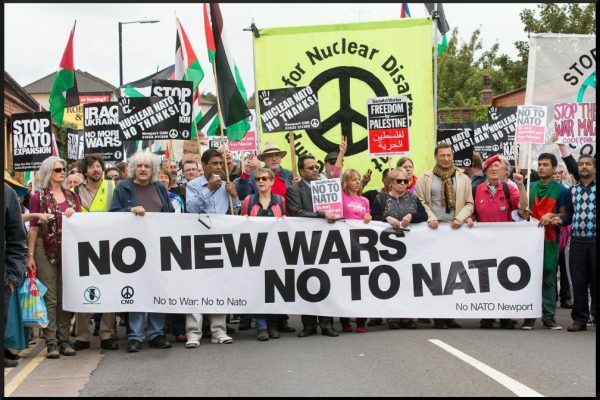 massive funding to build opposition to the government, supporting, building and manipulating protests, economic sanctions, and threats of militarism. These strategies have caused disruption but have failed to undermine the government. Venezuela: Another country with vast oil resources, Venezuela has been threatened with regime change, coups and war due to US imperialism that is supported by the elites in the US. The US uses the same regime change tools, e.g. a propagandistic barrage of lies about a “dictatorship”, economic sanctions, high-levels of funding to build opposition, violent protests, terrorism and attempts to foment a civil war. Dr. Margaret Flowers and Kevin Zeese are social justice organizers in Baltimore Maryland. They maintain the Popular Resistance website and have a weekly radio show and podcast called Clearing the Fog. They have organized local and national campaigns for racial justice and against endless wars; in support of Chelsea Manning and in support of Single Payer Healthcare; to oppose the TTP/TTIP and more.